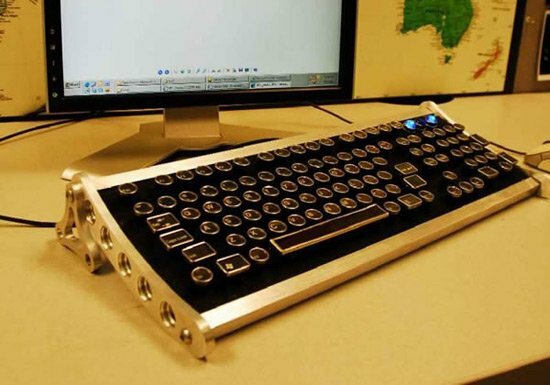 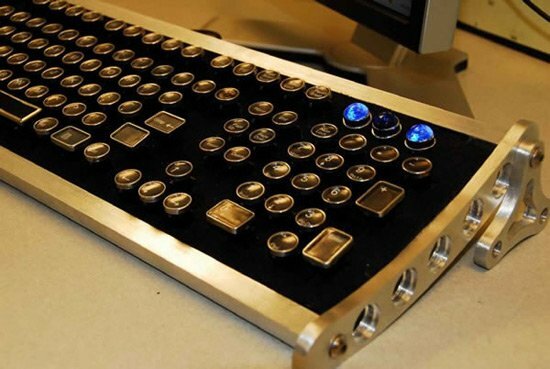 If your a fan of steampunk styled gadgets, then check out this cool keyboard, the Datamancer Aviator Keyboard. 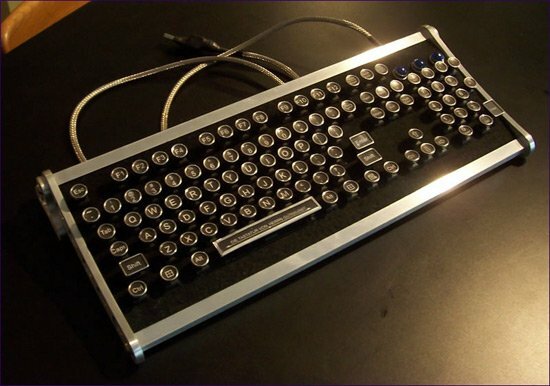 This stunning looking keyboard comes with a brushed aluminum frame, a black felt face plate, and a bunch or jewel LEDs in blue, red, voilet, green or amber. 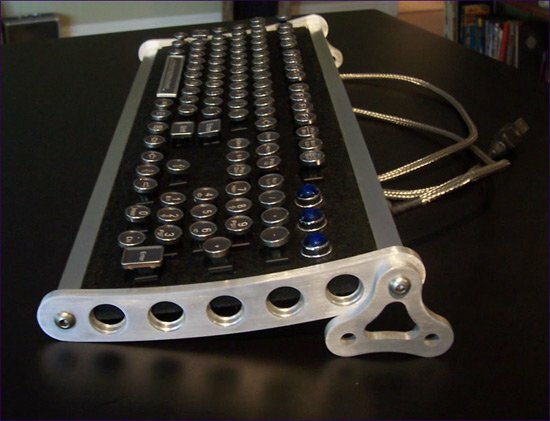 The Datamancer Aviator Keyboard is available for custom order from Datamancer, if you want one it is going to set you back a cool $1,200.